Why the Divide Between Speculative Fiction and Literature? Here are some thoughts on speculative fiction (a term that embraces much) by Kyle A. Massa. This book is part of the 2016 Emerging Local Authors Collection at the Greater Victoria Public Library. Northern Quebec, 1964: Mountie Jack McLain, baffled by a series of unsolved murders, knows the latest case will make or break his career. Eighteen-year-old Nilliq, chafing under the sullen power of her father in a remote hunting camp, risks flight with a headstrong shaman bent on a mission of his own. 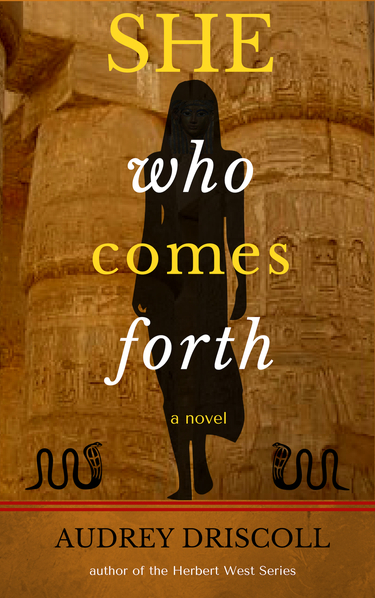 Their paths intersect in this tense mystery charting a journey of personal and cultural transformation. Despite the reference to murder and a Mountie, and the word “mystery” above, this book is not a conventional “murder mystery.” Instead, it’s a character-driven, in-depth examination of cultural and personal change in Canada’s arctic. While the murders propel the plot, the substance of this book is a complicated dance of the principal characters, examining relationships and events from different points of view. Sections narrated in first person by Jack McLain alternate with third-person chapters related from the point of view of Nilliq. This is entirely appropriate, since the author is a white man whose experience of the North was several years of teaching in Quebec Inuit villages. He does not presume to speak with the voice of an Inuit woman, but makes a great effort to represent her culture accurately. All other characters are seen through the eyes of these two; in some cases the same events and people. Rather than repetitious, I found these reiterations helpful in solidifying my understanding of events and relationships. McLain and Nilliq are people in transition. He knows his term of service is coming to an end, due to imminent bureaucratic changes. Disillusioned with trying to administer justice in a rapidly changing and idiosyncratic cultural situation, but without any solid prospects elsewhere, McLain is a somewhat sad figure, an intelligent and well-meaning individual who too easily sees the dark side of things, but with a fundamental love for the northern way of life. Nilliq teeters on the edge of womanhood, increasingly aware of the exploitation of women by the men around them, and longing for wider horizons. Opposing them and one another are the enigmatic hunter and shaman who calls himself Wallin, although he also has other names, and the menacing figure of Nilliq’s father Sandlak. The prose is spare and direct, tracing the narrative in a linear way, but permitting the characters to show background complexities in their interactions and conversations, finally taking the reader to a point where the issue of the murders is largely resolved, allowing the main characters to move on to new situations. Hunter’s Daughter is a tale well told, with special relevance and interest at this time when many Canadians are trying to learn more about their country’s native peoples. Gorgeous Sally Pavlou, widowed by her husband’s fake suicide, sets out with insouciant PI (and punster) Clive Bridle to track down her errant spouse. From an unnamed Midwestern burg, the two hit the road in Sally’s ’63 Dodge Dart (nicknamed “Dot”). Readers get to ride along — to Denver, Albuquerque, Phoenix, L.A., San Francisco and various side trips to spots that may or may not appear on any map. Along the way, the pair encounters an astonishing variety of sages, sinners, eccentrics and downright lunatics who offer opportunities for enlightenment. Sally is an aficionado of an old-fashioned arcade game called Fascination. Every now and then she just has to play, even if it means a considerable detour. Clive is fine with that; stretching out the trip means he gets to spend more time in Sally’s company. His cheerful exterior hides a wounded heart and a capacity for duplicity. Altogether, there are quite a few bumps in the road to self-realization and vengeance. Kevin Brennan has created a finely-textured novel, with laughs (or at least smiles) on every page. Whether it’s groan-inducing puns or agile prose that creates vivid scenes in the reader’s personal mind-movie, the alert reader will find way more than the captivating plot to reward their decision to read Fascination. Fascination may be obtained from only one source — the author. Literary Horror — Too Much of A Bad Thing? Recently I read Caitlin R. Kiernan’s The Red Tree, and now I’m engaged in a struggle to finish Nick Cutter’s The Deep. Both books are in the horror genre, and both, in my opinion, are problematic. The thing is, these are not straightforward genre books. They are literary horror. And that’s the problem. Before I go on, I’ll just say that I have no problem with the writing itself. Kiernan and Cutter are skilled writers whose prose is artful and compelling. It’s the entire reading experience I want to dissect. First, what is horror? It’s fiction whose purpose is to provide the reader with a vicarious experience of something terrible that is outside of reality. (This distinguishes it from thrillers, in which the threat is reality-based). It may be gory and graphic, it may be subtle and inexplicable, but whatever the fictional characters experience must be vividly shared by the reader. The best horror fiction lingers in the reader’s mind long after the book is finished, providing jolts of terror at unexpected moments. Literary fiction is character-based. The characters and their inner lives drive the plot. Whatever happens to them is of less importance than how they change in the course of the narrative. Strong, fully fleshed-out characters are thought to be a mark of superior fiction. Readers (this one included) who post reviews of books often complain about “cardboard cutout” or stereotypical characters. But I’m wondering if that criticism applies less to horror fiction. Think about it — in horror, it’s the situation that’s the star of the show. It’s the house with something dwelling in the cellar, the forest full of malign presences, the stealthy noises in the walls. The reader should be right there, cheek by jowl with the character experiencing these things, trying to figure out what’s happening, becoming terrified, confronting the fear, discovering the terrible truth. If the point-of-view character is also a complex personality sorting through messy personal baggage and possibly struggling with mental health issues, the story sometimes becomes muddy and tedious. Unreliable narrators are practically a given now, even in genre fiction, and they can add texture to a story. But the degree of unreliability should be limited, and the reader must be given a fundamentally sympathetic character to travel with and root for. In both of the books I mentioned at the start of this post, the main characters are troubled to start with, as a result of unhappy childhoods or traumatic events in the recent past. Add the bizarre or dangerous situations that underpin the plots (a tree with a weird history, a research station 8 miles underwater that’s gone incommunicado) — and who is surprised when they start to crack? But the reader who just wants to experience a series of terrifying situations while sitting comfortably on the couch may get impatient when their companion character breaks down and needs psychoanalysis. It’s like when you’re on a hike in challenging conditions and your only companion starts to lose it. Yes, this ramps up the tension (always a good thing in fiction), but once a character’s psychological issues become more important than the shapes in the shadows, you have a different type of book. And indeed, many readers enjoy the combination of literary + horror, as shown by the ratings of both these books on Goodreads. I may be in a minority, preferring a greater degree of separation between the two. For what it’s worth, I think the literary/horror balance is a bit better in The Deep. The main character, although overburdened with personal issues, including a most peculiar upbringing, is basically sympathetic. In both this book and The Red Tree, however, the psychological is too tightly entangled the with the horror for my taste. Critics have commented that H.P. Lovecraft’s main characters are not well developed. They are usually types — New Englanders of an academic bent faced with evidence of weird goings-on, often in the form of documents or artifacts that lead to the situations and settings that were HPL’s darlings. The characters are merely vehicles to take the reader to those situations. Aside from the basics (name, residence, scholarly interests, family background) little detail is provided. And really, it doesn’t much matter. The reader is sucked right in, reading accounts of R’lyeh rising from the ocean, traveling haunted rural roads to Henry Akeley’s place, exploring the city of the Old Ones in Antarctica. Who cares about Francis Wayland Thurston’s mental quirks, Albert N. Wilmarth’s love life or William Dyer’s childhood? When I read Lovecraft’s story “Herbert West, Reanimator,” I thought Herbert and the unnamed narrator had potential when it came to character development. What led Herbert to reanimate corpses? Why did the narrator remain loyal to West even when he began to fear him? These questions don’t really have much to do with the corpses lurching around, but they led me to write my novel The Friendship of Mortals. “Herbert West, Reanimator” is definitely horror; some have called it the first zombie tale. Re-Animator, the movie based on the story, is horror of the splatter and gore variety. But my book? Answering the character-based questions that compelled me to write transformed it from horror to psychological/supernatural. Why are there so many of these awards? And why are most of them for so-called “literary” fiction? There are a few awards for genre fiction, such as the Nebula Award for science fiction and the Golden Dagger Award for crime fiction, but they don’t have the profile of the literary prizes. I think the answer has to do with a fundamental difference between literary fiction and genre fiction. Genre fiction is self-serve. Everyone knows what to expect from a book labelled “mystery” or “romance” or “science fiction,” but literary fiction is random. It can be about anything or nothing. It’s idiosyncratic and nuanced, full of symbols and allusions, and often ends ambiguously. A degree in creative writing may be useful for reading as well as writing it. Lit-fic is popular among book clubs whose discussions use words like Zeitgeist and oeuvre. However intimidating, literary fiction has the allure (for some) of the Higher Arts. One cannot swim in this rarefied sea unaided. Readers need expert guidance in the pathless country of lit-fic. Newspapers and mainstream magazines such as Time or Maclean’s used to have book sections, but they are becoming scarce. More and more, the critics’ seal of approval takes the form of the literary award. Once the annual crop of awards is out, those who wish to be known as “well-read” know exactly which books to buy and read (or at least skim). A recent clever development is the announcement of long-lists and shortlists in the run-up to an award, so the benefits of the awards may be spread among more authors (and their publishers). But what about self-published literary fiction? Most successful indie authors write and publish genre fiction. Is being “literary” the kiss of death to a self-published book? In the world of indie authors, there are no high-profile awards, backed by financial institutions and bestowed by panels of Eminent Writers. No one is telling the reading public, “This is the indie book everyone should read,” condemning to eternal obscurity many an artfully-written work expressing the anomie of a disaffected protagonist in an indifferent world. What’s more important in a work of fiction — good plot or good characters? If you could have only one, which would it be? I’ve decided that I prefer good characters. A catchy plot is just an extended idea if the characters who play it out are cardboard cutouts, types without substance. Fully developed, complicated real-people characters can be interesting to read about, even without much of a plot. In other words, I’d rather read a scene in which interesting characters are just chatting than one in which a couple of ciphers are on the run, in peril of their lives from another (evil) cipher. So why is it that genre fiction with “type” characters is so popular? It seems that most people prefer plot over character, the plots acted out by a variety of types — the tough guy hiding an inner wound, the spunky heroine with a troubled past, the family man with a secret life, the perfect wife coming to terms with a shattered marriage. There are quite a lot of these types, but we see them again and again. I suppose they’re sort of like product brands — as soon as you recognize them you know what to expect. Plot-driven fiction shuffles types around in a variety of patterns like the coloured chips in a kaleidoscope. Small variations produce enough patterns to keep readers happy. Literary fiction is often called “character-driven.” The writer creates characters with rich, life-like personalities and juxtaposes them in situations that quite often are those of everyday life. The interaction of the characters in these situations produces the plot, which is often subtle and concludes ambiguously. So why do readers prefer genre fiction to the literary? I suppose it’s because it’s more work to derive satisfaction from the latter, with its need for a greater degree of reader attention to appreciate the subtleties and to make the intuitive leaps. And ambiguous endings are more satisfying to write than to read. Inevitably, I am drawn into an analogy with food. Reading literary fiction is like making and eating a salad. First you get the materials out of the refrigerator — lettuce, cucumber, green (or red or orange or yellow) pepper and the indispensable tomato. Peeling off a few lettuce leaves, you notice brown spots and rotten bits. You rinse the leaves, washing away the gross stuff, shake off the water and rip them up into bite-size pieces. Then you wash and slice the other ingredients, finally tossing them together. Add your preferred dressing (which you could also prepare from scratch!) and the salad is ready to eat. Many would avoid all this and reach for a bag of potato chips. Many prefer the predictable patterns of plot-driven genre fiction to the assemble-it-yourself mosaic of character-driven literary fiction. But why not have both? There actually are a lot of books that have both well-developed characters and compelling plots. I suspect that they tend to be on the long side (all that showing, don’t you know), and don’t go down quite as easily as pure genre fiction. Reading this kind of book is perhaps like making a grilled cheese sandwich with a sliced tomato on the side — not quite as much trouble as putting the salad together, but significantly more than ripping open that bag of chips.